Discussion in '3rd Gen Builds (2014+)' started by Watt maker, Jan 11, 2018. Watt maker [OP] Keepin' the lights on! Such a cool build Ron ! 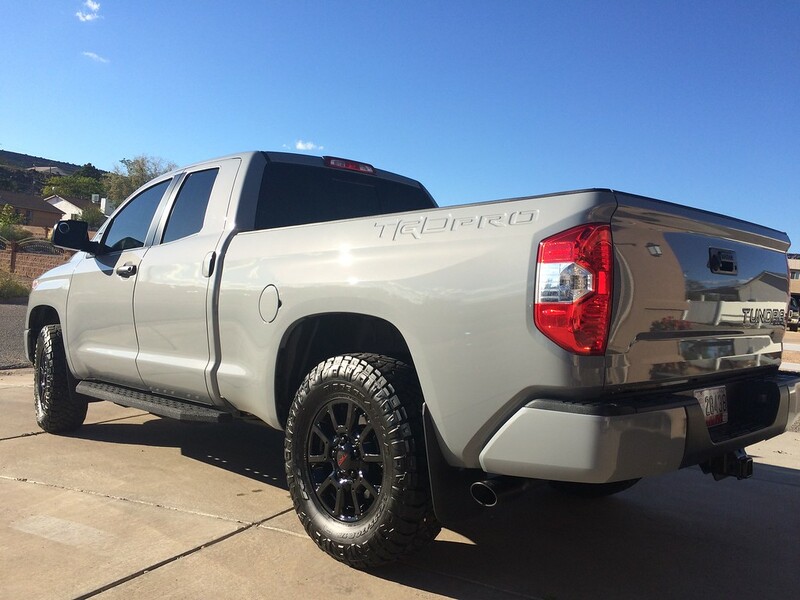 love how you came about getting your truck !! Thanks! It’s funny how all the stars aligned that week. It’s been an awesome truck so far and I haven’t seen one just like it anywhere. Sometimes things are meant to be !!! Decided to de-badge the Unicorn today and give it a good bath. 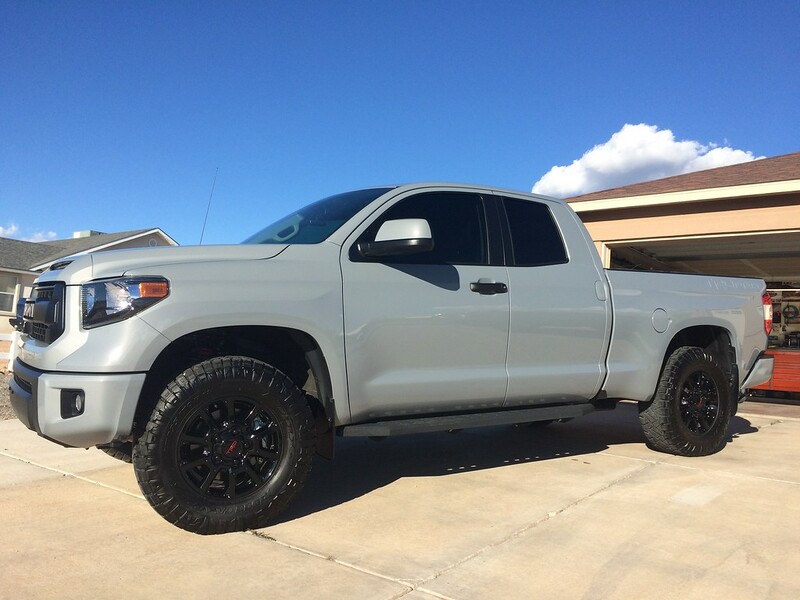 Such a great truck build, WattMaker! Nice de badging...but perhaps a small bed decal add that's in line with your profession. 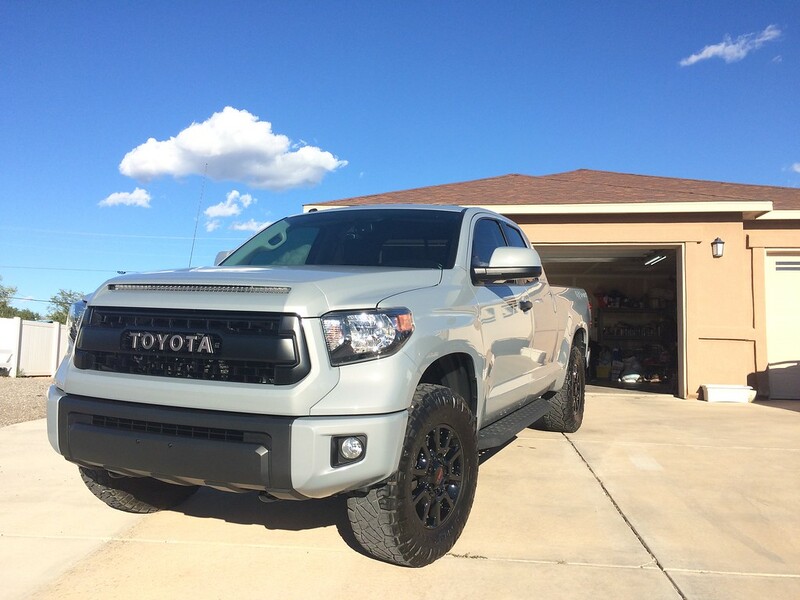 SR5TRDTUNDRA and Watt maker [OP] like this. Notachickmagnet, ARamirez73, HighDesertSurfer and 2 others like this. Not sure how I missed this, but cool build. Also, if you ever want to manual swap that 4Runner, let me know.. ha! Thanks! This Pro is definitely my most favorite vehicle I've ever owned. Absolutely enjoy driving it and I get quite a few compliments on it. As for the 4runner, it's been a great vehicle as well. I've thought about manual swapping it a few times. 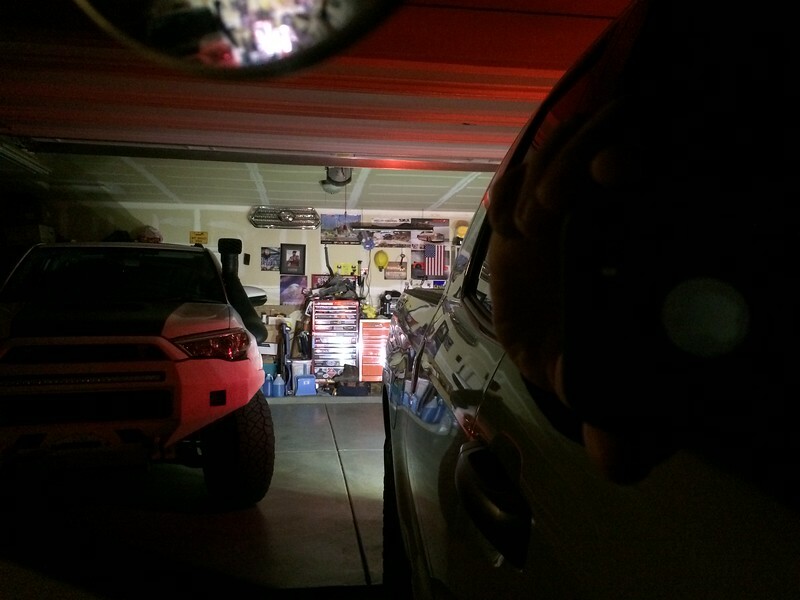 I'm definitely planning on swapping in a manual FJ T-case, maybe with a doubler and twin/triple sticks, at some point. I might just pick up another 4th gen and manual trans swap that one. I do want my kids to learn how to drive a manual trans vehicle. 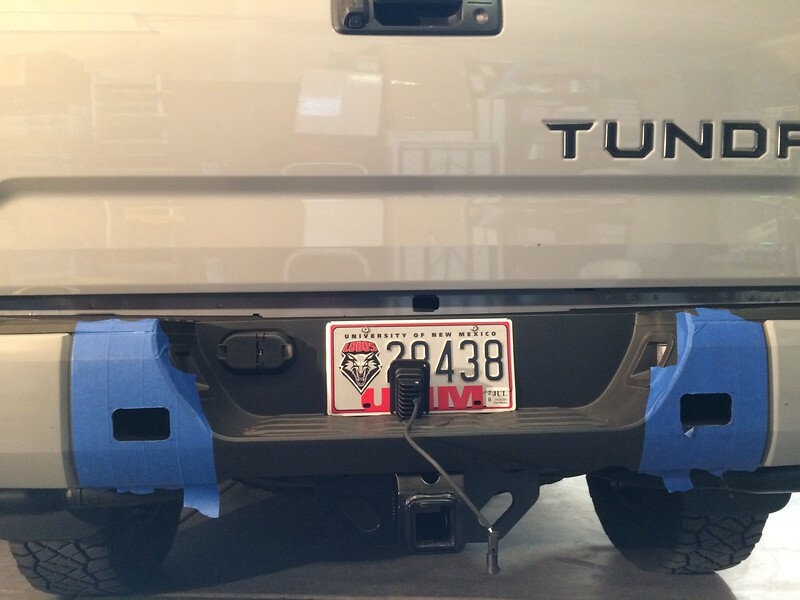 I had originally thought about going with some totally blacked out tail lights but couldn’t find any that I liked. They either look too “ricey” or they had bad reviews. 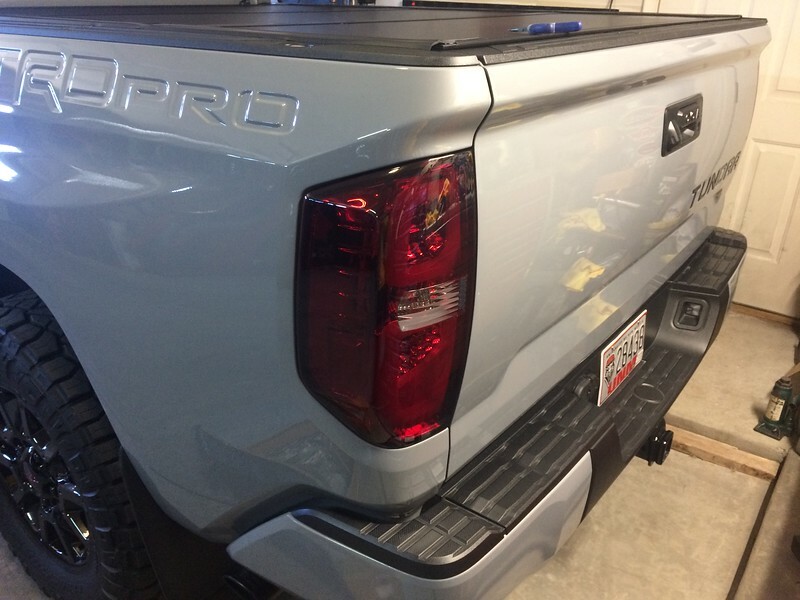 I just wanted tail lights that got rid of the chrome and had running lights that illuminated the upper turn signal area as well as the bottom brake light area. 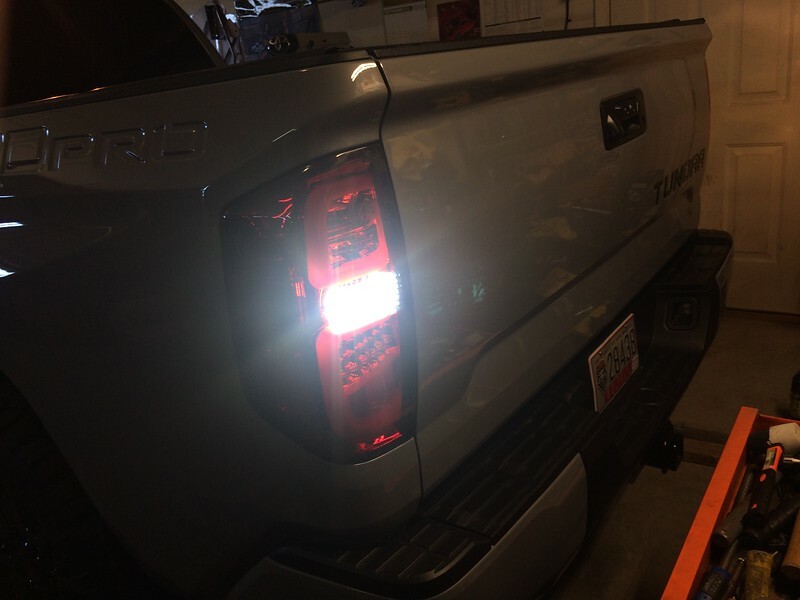 Light output and visibility for both turn signals and brake lights were also concerns since I definitely don’t want anyone running into my truck. After looking at dozens of lights I settled on these. The initial fit and build quality seems to be pretty good. Resistors are built into the housings to prevent “hyper-flash”. All the plugs fit snuggly as do the new LED reverse lights, which are very bright. Can’t wait to see those at night. 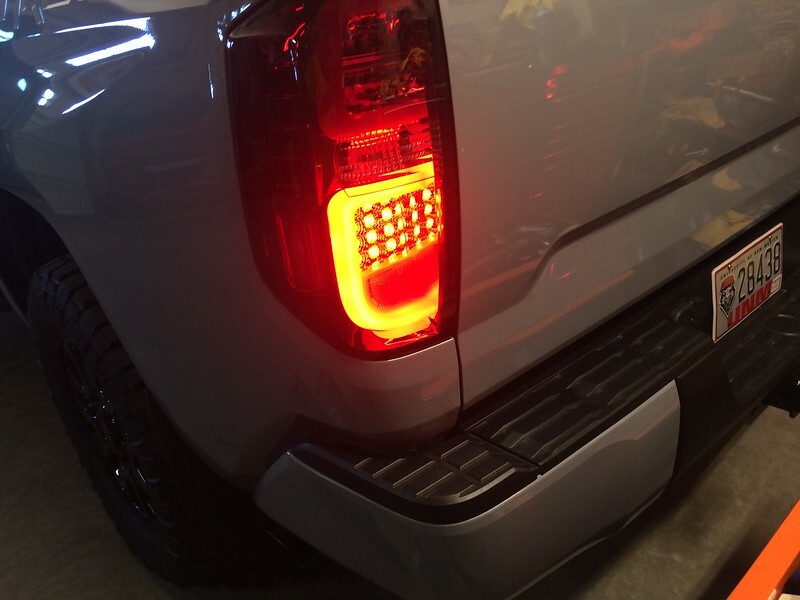 LED brake light. I had to shoot this off to the side because the light so bright it was washing out the picture. tinman10101, Jsena, dcsleeper408 and 4 others like this. Thanks! 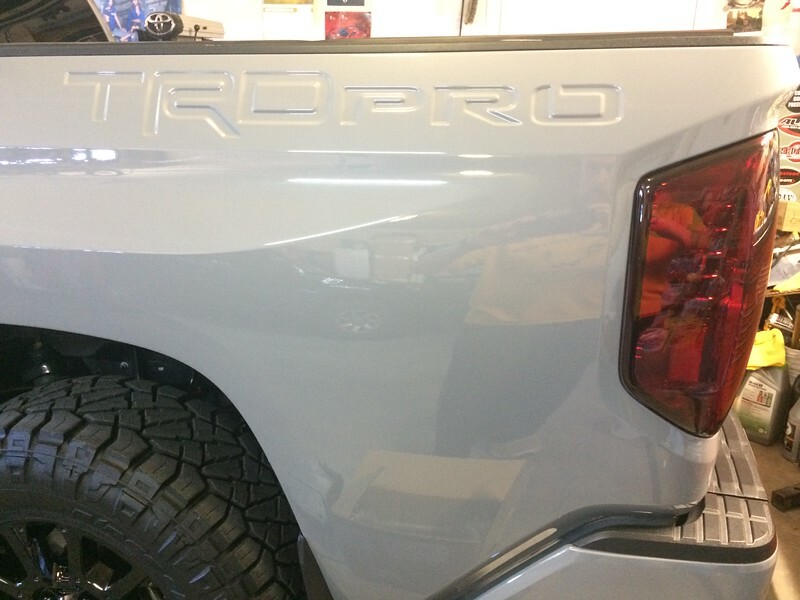 So far I really like them and they seemed plenty bright enough in the garage but honestly I haven't driven the truck with them installed. 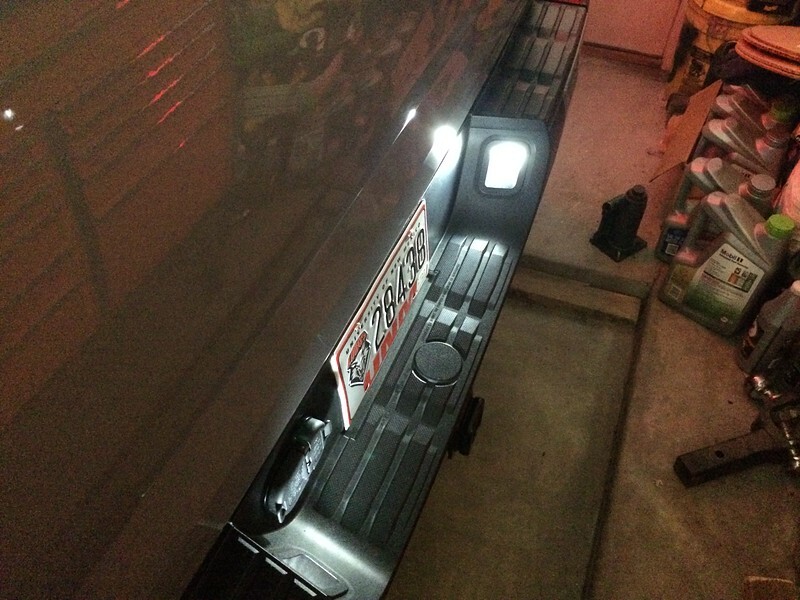 Finished upgrading all the rear facing lights with LEDs. I still need to tint the 3rd brake light but I’m saving that job for a day that the weather is bad. drhntr and Rica25 like this. No issues at all. Plenty of room in there. Just go slow taking the cover off so the seal doesn’t tear. 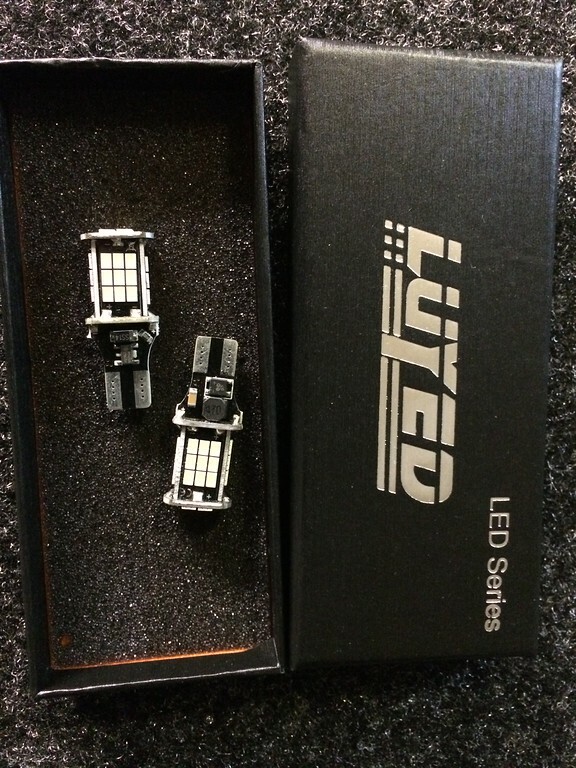 These little lights may be brighter than the reverse LEDs! 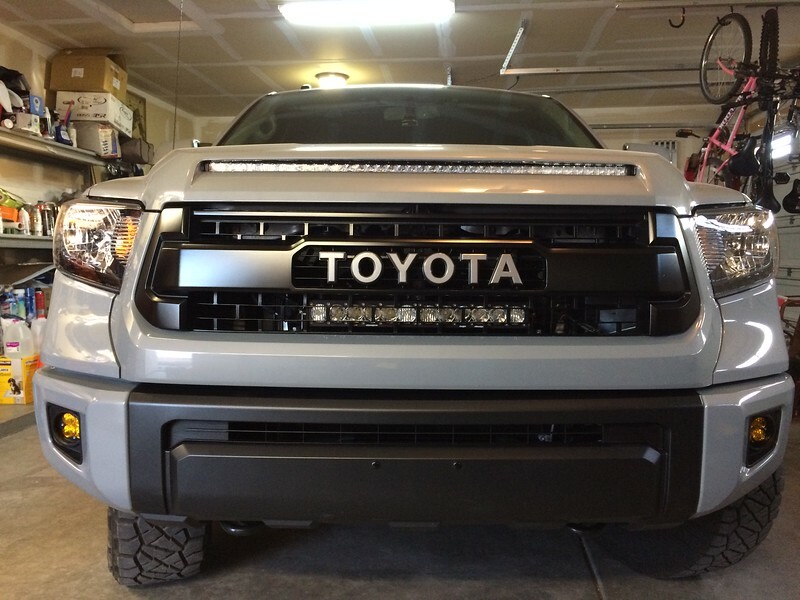 In October @Baja Designs held a drawing to win a 20" OnX6 light bar. I entered the drawing expecting my long undisputed streak of not winning any kind of giveaway to hold up but it didn't. 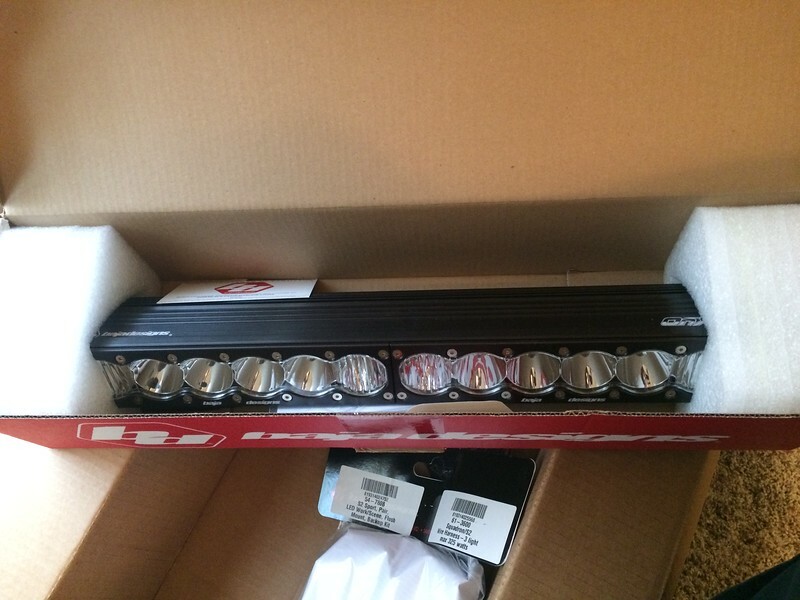 I was selected as the winner and found myself as the new owner of a badass light bar. 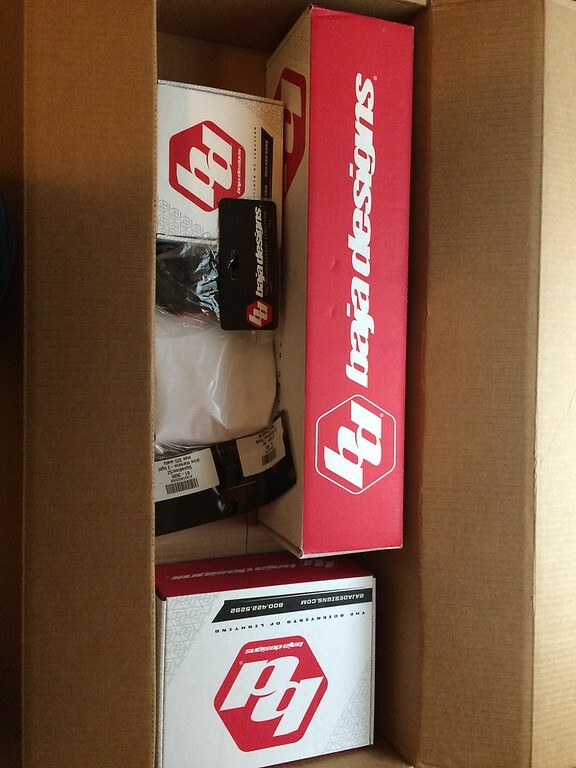 This pushed me over the edge to also order some other Baja Designs lights that I was looking at. Last week I finally had a chance to install everything that came in. 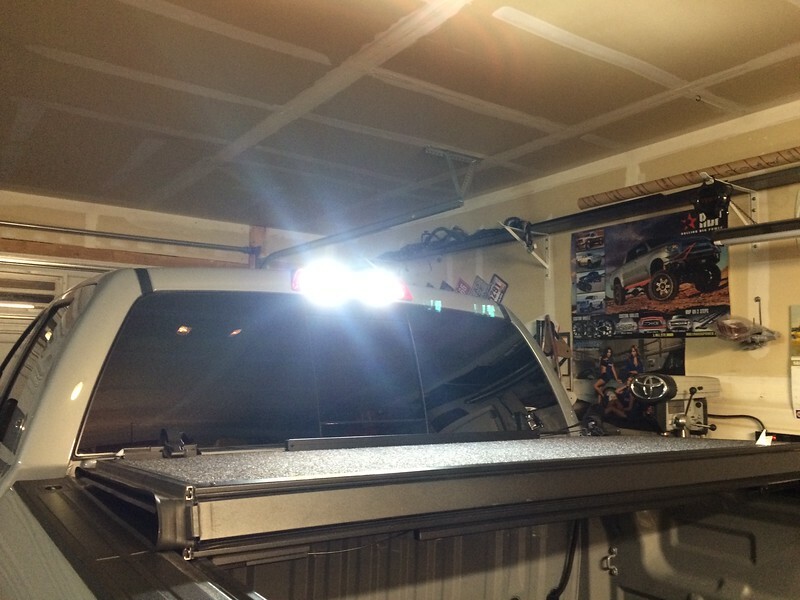 I started off the lights installation with the Baja Designs fog light kit first. 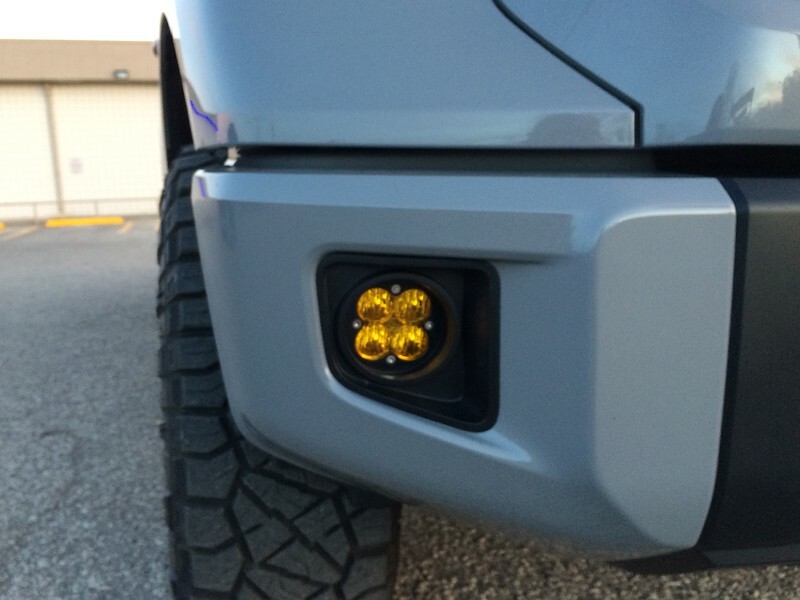 The fog light kit fits good but it does take some patience and some slight adjusting to get the best fit. I also added some zip ties to the back of the bezels to help pull them in for a tighter fit. 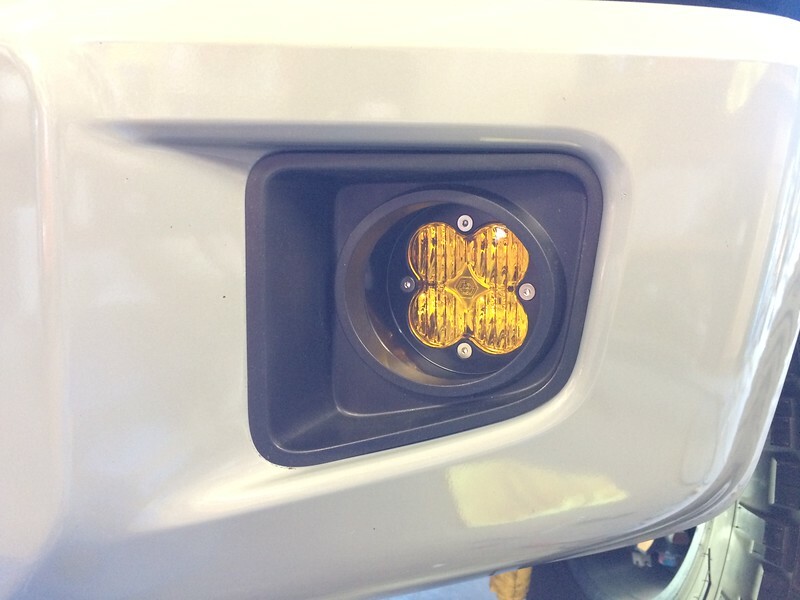 From the factory, the OEM fog light bezels fit loose and could move around some. Now they fit nice and tight with no flickering or bouncing of the light beam even on some rough 3rd world like roads I went on over the weekend. I also think the amber fog look really adds to the overall appearance. Unfortunately, I'm terrible at remembering to take pictures so I don't have any of the fog light install. Markman, drhntr, Rica25 and 4 others like this. Rica25 and Watt maker [OP] like this. 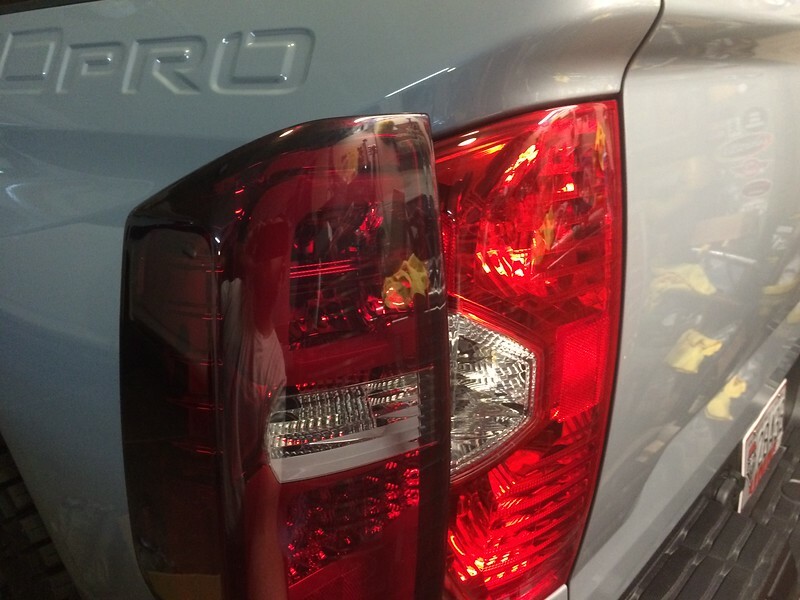 Those tail lights look good. I was going to get me a set, but my luck as usual, they are either sold out or no longer available. 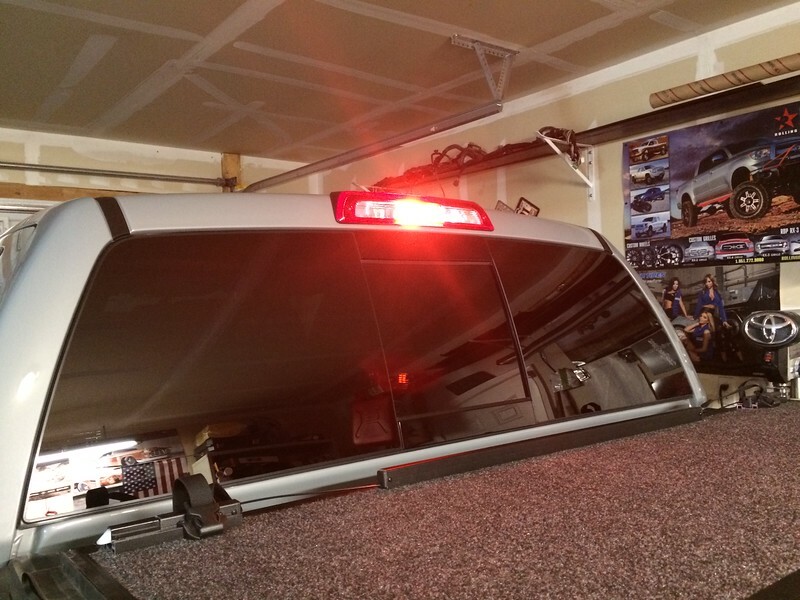 Next up was the OnX6 20" light bar. I knew this would take a little while because I was going to make my own brackets and I had to finalize where I was going to install it. After considering a couple different locations I settled on installing behind the grill. I like working with what material I have on hand and I just happened to have some 1.5" aluminum angle left over from another project. I cut the aluminum angle into 8" and 4" pieces and bolted them together to form a "C" channel. I bolted those "C" brackets to the lower grill support and bolted the Baja Designs brackets to the "C" brackets. This formed a decent base but wasn't sturdy enough for my liking (the lower grill support is thin material) and allowed the light to move some. 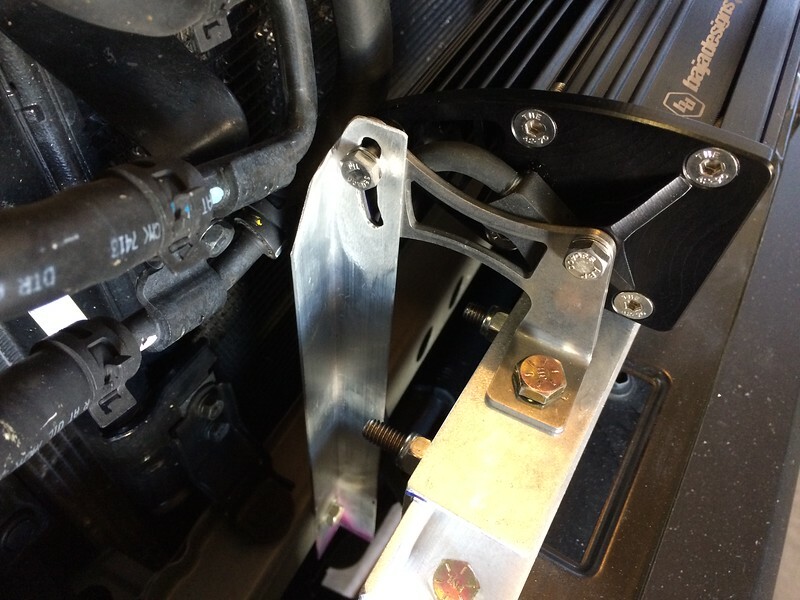 I had some thinner aluminum angle that I cut into 12" pieces that I bolted to the rear slotted hole of the BD bracket and to the lower radiator support using factory holes (one hole was even threaded for me, thanks Toyota!). I used all stainless steel hardware to prevent any rusting issues and that was the only materials I had to source from the hardware store. I sanded all the brackets, cleaned them and painted them all a industrial satin black. TheBeast, drhntr, Rica25 and 4 others like this. 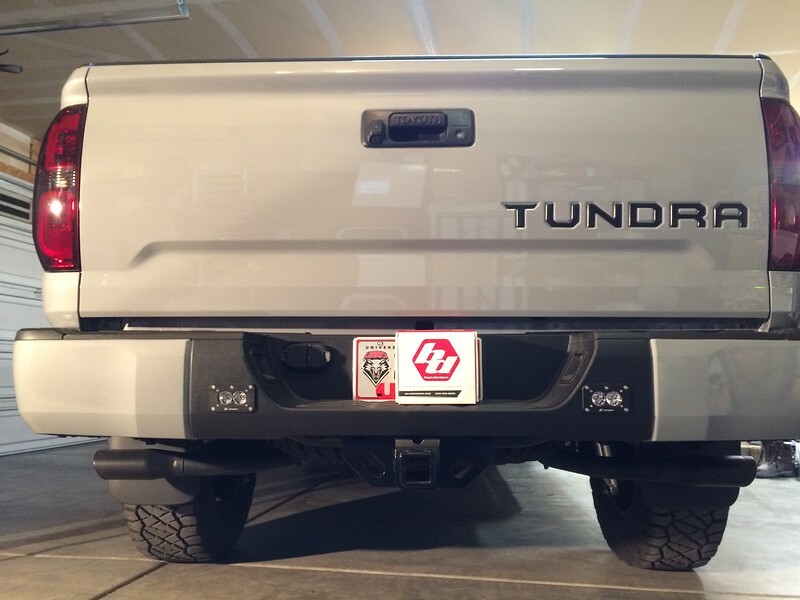 Finally, I installed the Baja Designs S2 Sport flush mount lights in the rear bumper. 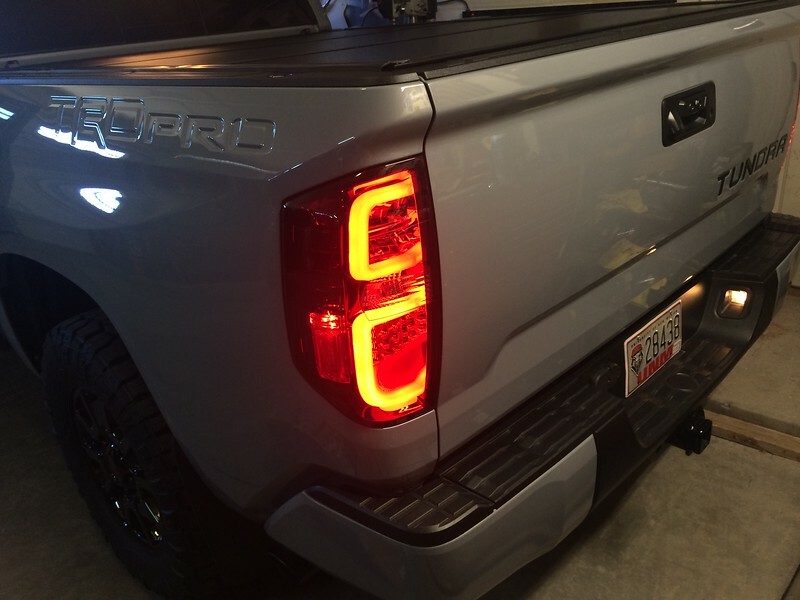 As much as I love the look of the new tail lights, they don't have the best reverse light pattern. I realized that some additional reverse lighting was in order here. This was the easiest of the 3 installs. Measure, cut, install, and wire, done! 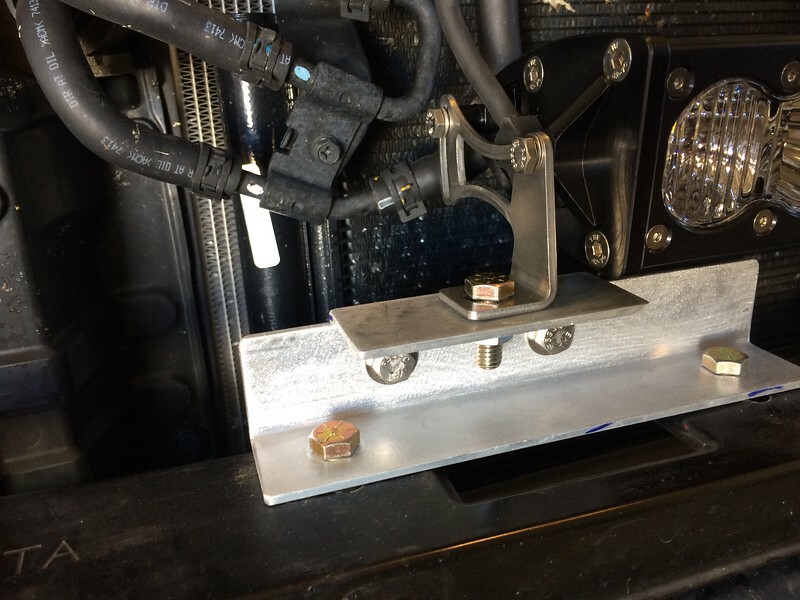 I tapped into the trailer wiring for the ground and reverse light circuits. I chose this location because it is most likely the easiest to source a replacement part should I screw up or this center piece gets damage and I doesn't require paint work. It's also very easy to cut because it's only plastic and this location is free of obstructions on the back side. So, how do all these lights work? Very, very good! Really helps light up the night! 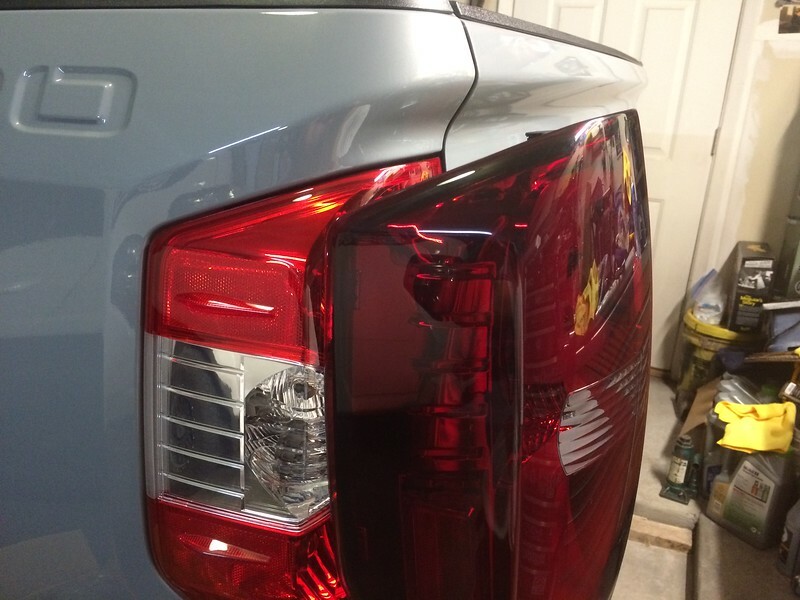 Forgot to take any "before" reverse light pics but just imagine next to no light. Here's how it looks now with the S2 Sports. 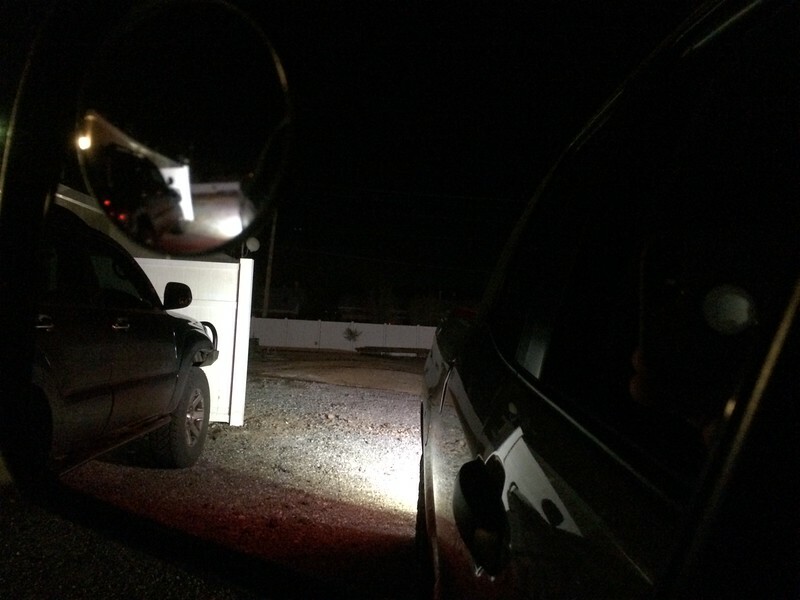 Looking through the side mirror. jessenavarro, Jsena, matttowns509 and 11 others like this. 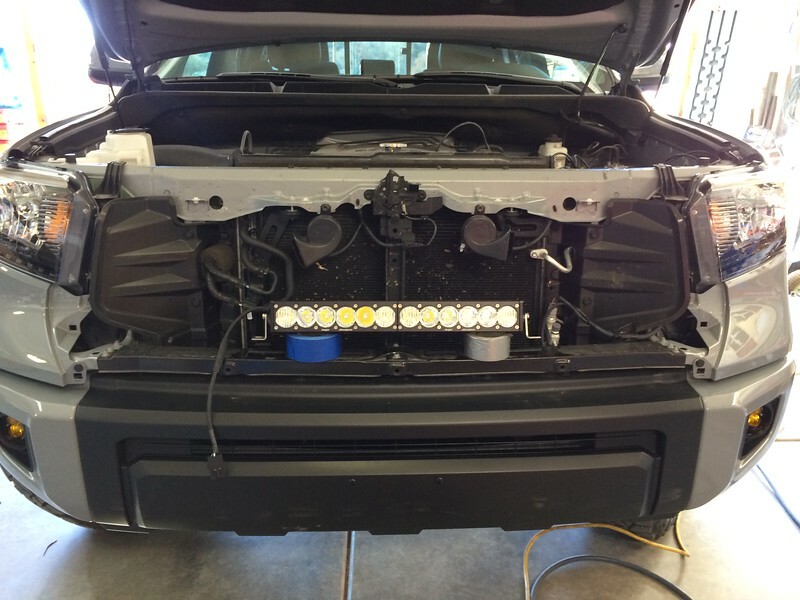 Good to see that light bar is going to someone who is gonna use it! TheBeast, Watt maker [OP] and Rica25 like this. Good looking truck. That's alot of work you put into her. It will definitely see some use! 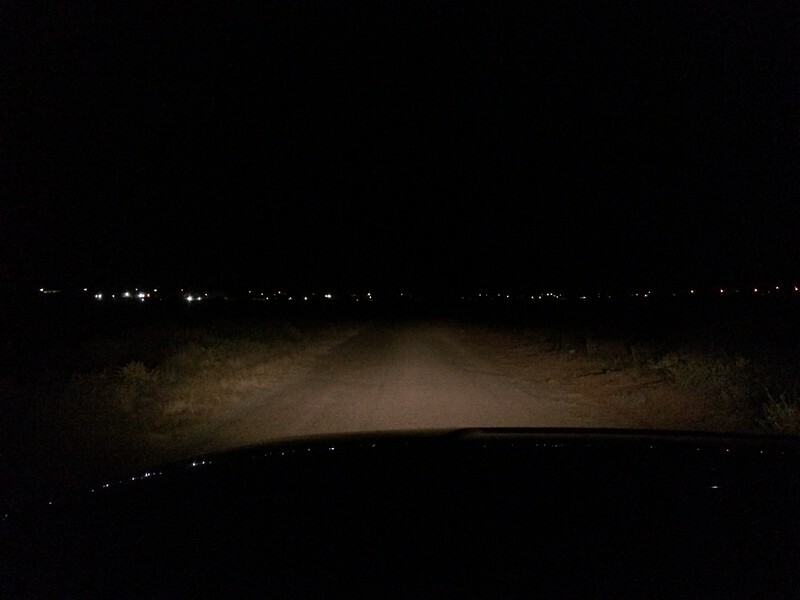 I live and work in a rural area of NM so good lights are a must out here! Rica25 and TheBeast like this. Thanks! I love this truck and love adding a little something here and there. TheBeast and Erichudgins like this. looks great !. how did you wire back in the cab ? 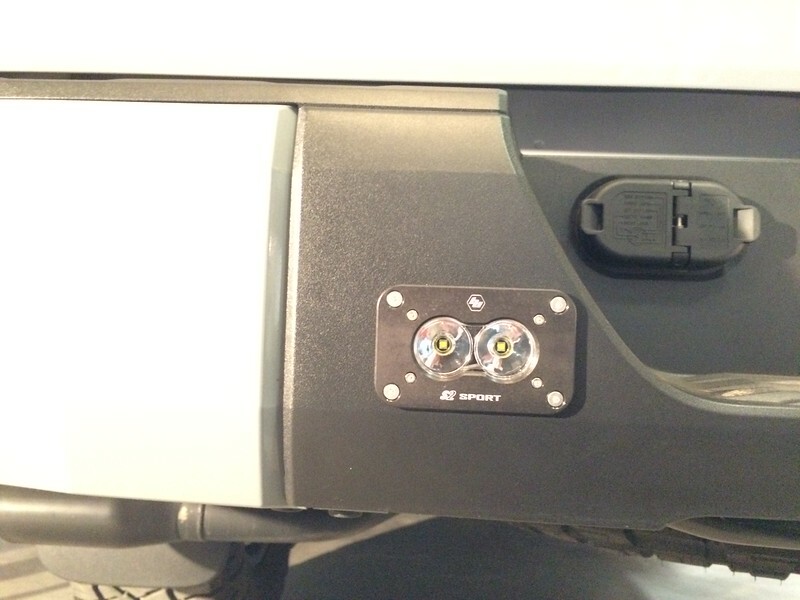 The BD OnX6 wiring harness is triggered by the same switch that controls the lightbar in the hood bulge. That wire goes through the OEM firewall grommet on the driver side to a factory style switch in the left side of the dash. Positive and negative just go to the battery. 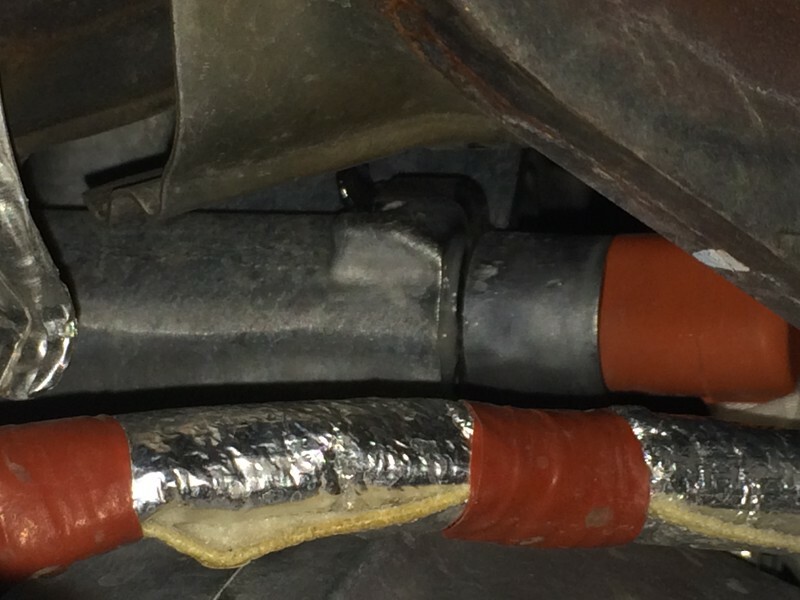 Every connection is has heat shrink around it. I think at some point I'm going to add a Switch Pros into the mix but for now it's simple and clean enough. I wondered if this was possible!! I freakin' love it! It's on my wish list! Over the weekend, I installed an OEM Toyota engine block heater and a battery blanket that I had laying around. We have a trip planned to north central ND in about a month so I want to be somewhat prepared in case it’s really cold up there. We also occasionally go up to northern Colorado and I’ve seen it pretty cold even where I work so a block heater/battery blanket will probably come in handy. Here's what is included. The nice plug that mounts to the bumper is apparently a Canada only thing, couldn't find one for sale anywhere. 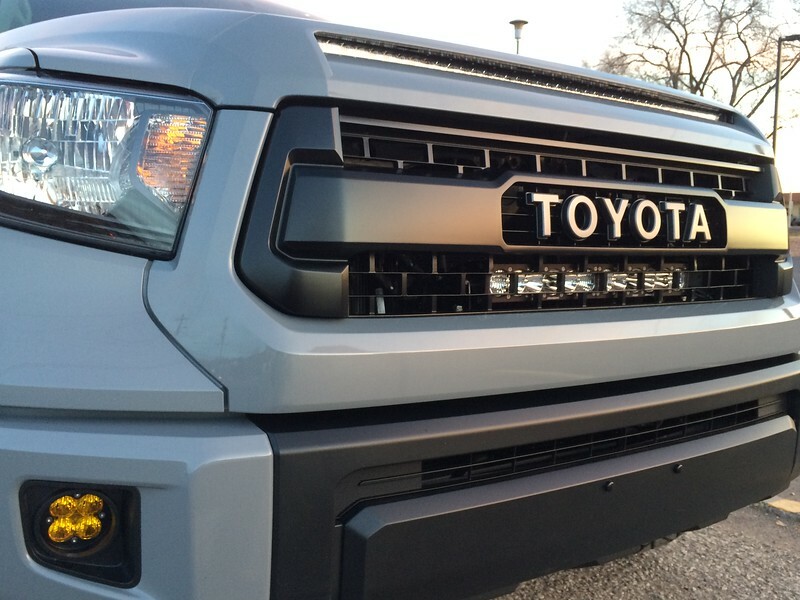 Toyota did us a big favor by providing a nice machined spot for the block heater to go into. 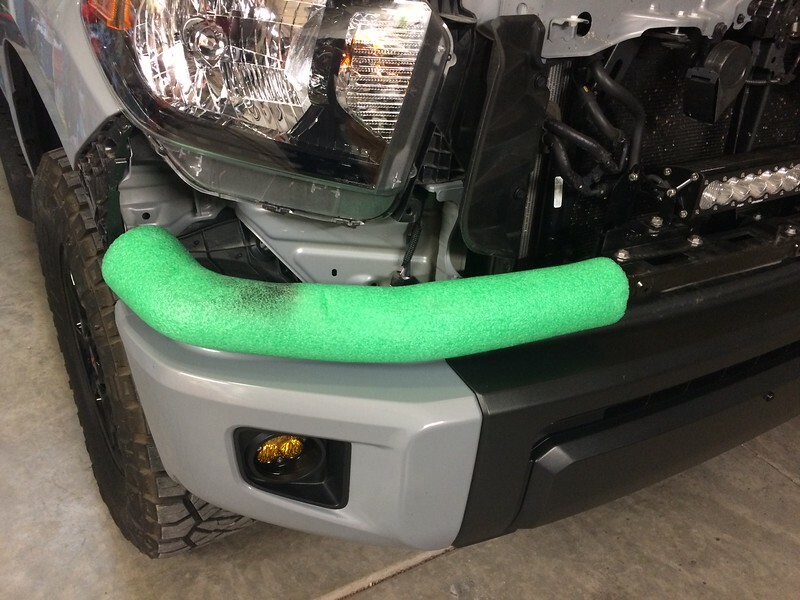 While probably not as effective as a block heater that is directly in contact with the anti-freeze, this is a no mess, no fuss, quicker install. 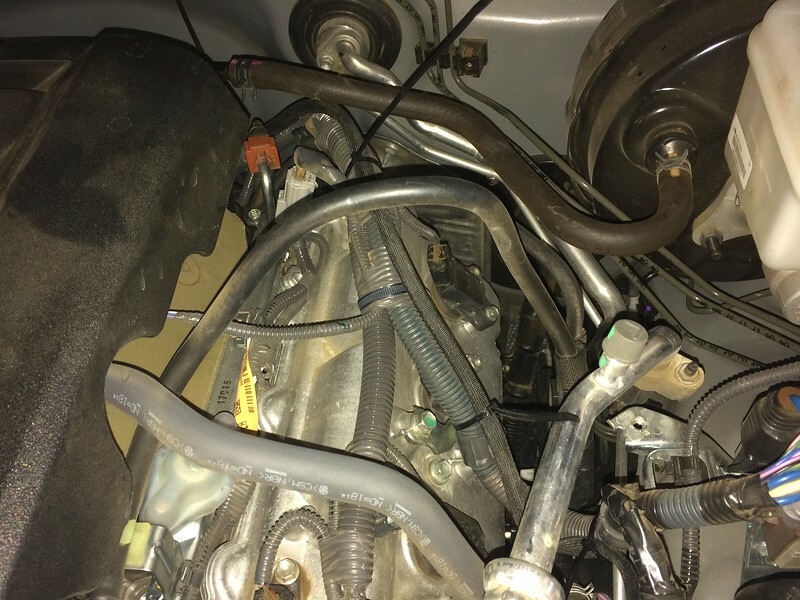 I guided the block heater over the top of the engine and down between the firewall and the intake manifold. 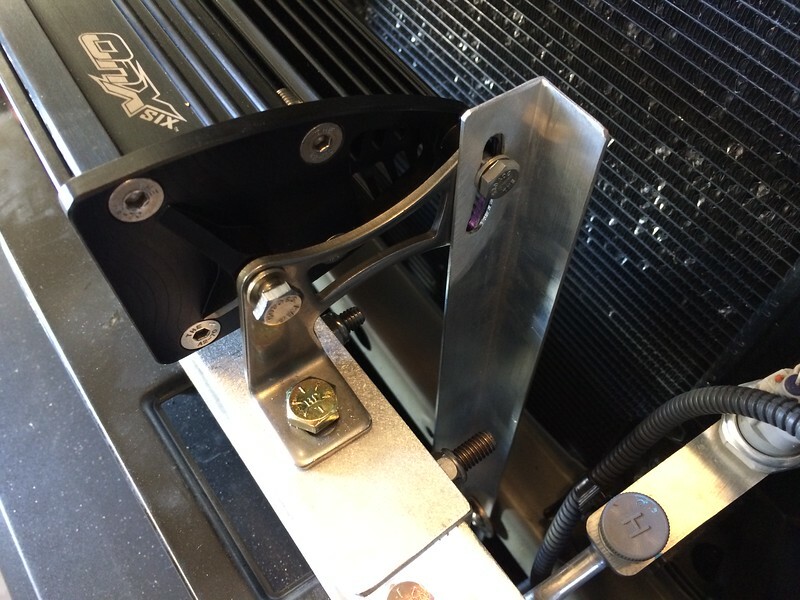 The included grease aides in transferring the heat from the block heater and goes on the block heater itself and into the machined recess. 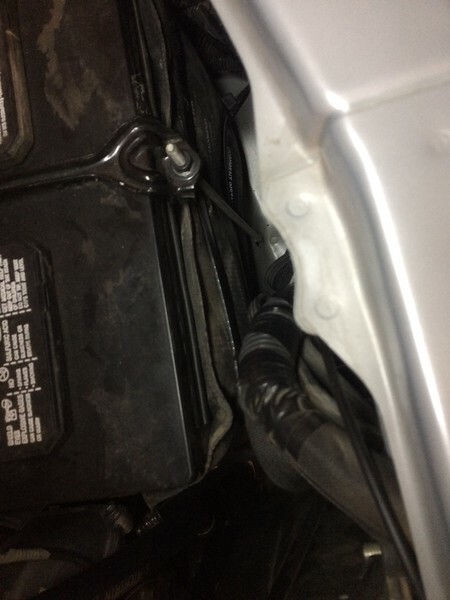 There is a tab on the block that the clip of the block heater attaches to. 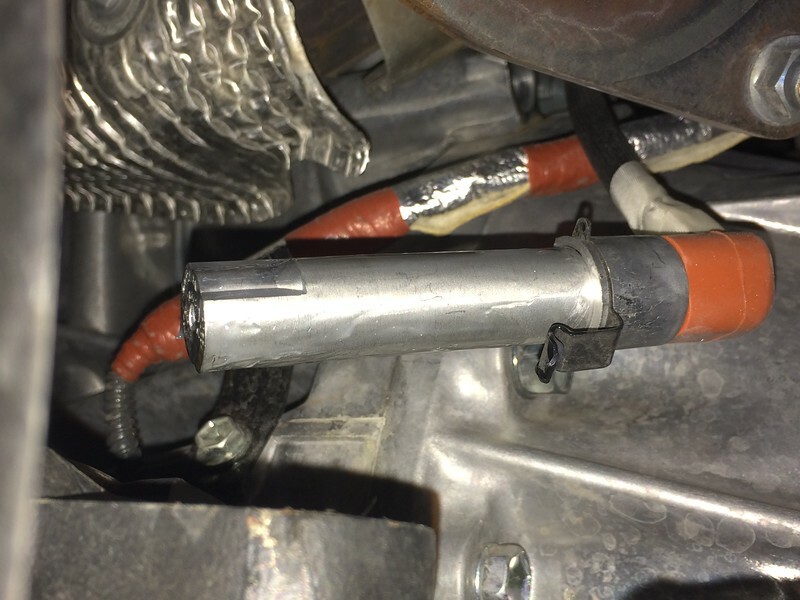 Here you can see the block heater fully inserted and clipped into place. 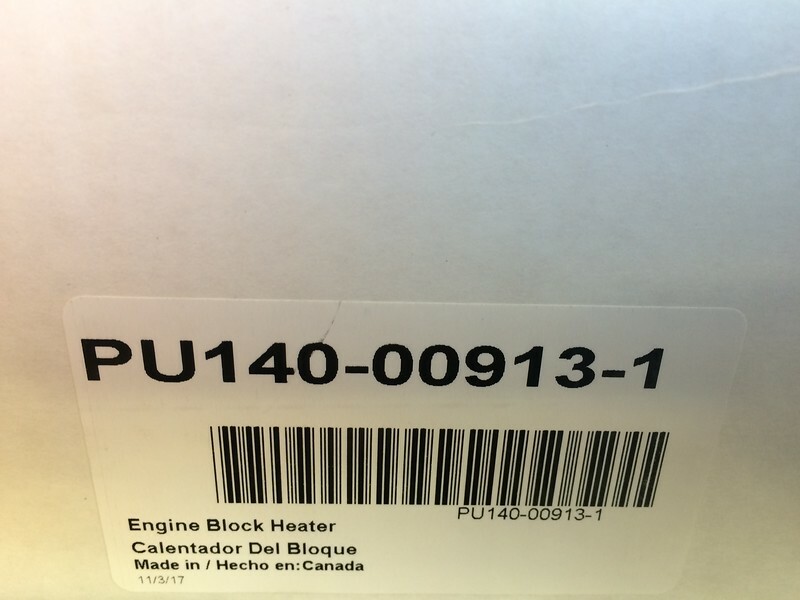 This is another area that the OEM heater is much better than the aftermarket block heaters. The 90* plug should be pointing at about the 2 o'clock position, avoiding the exhaust manifold. I routed the block heater wiring up the rear of the engine, keeping clear of the exhaust manifold and the EGR tube/solenoid, and along the factory wiring harness towards the battery. I also installed an electric battery blanket that I had laying around the garage. 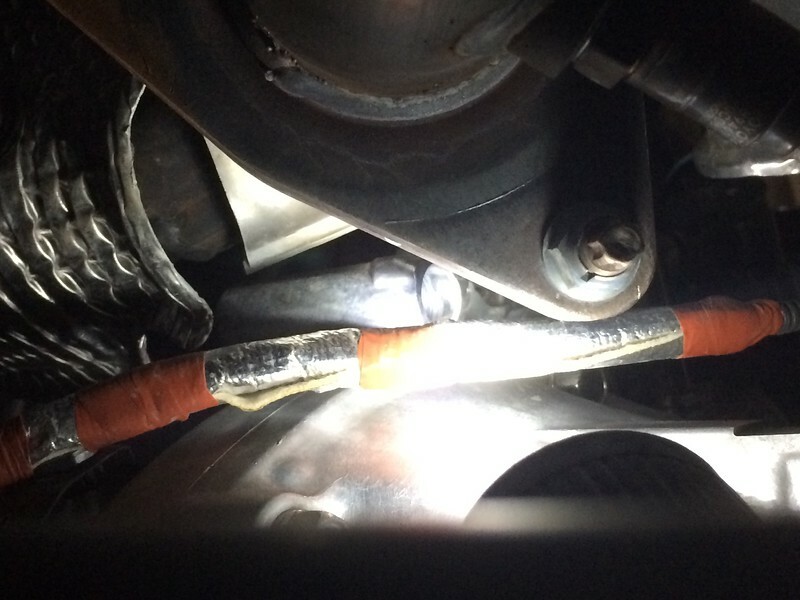 For now, both the battery blanket and block heater plugs can exit the engine bay above the headlight when needed and tucked away out of sight when not needed. drhntr, Atomic City Tundra and Rica25 like this. 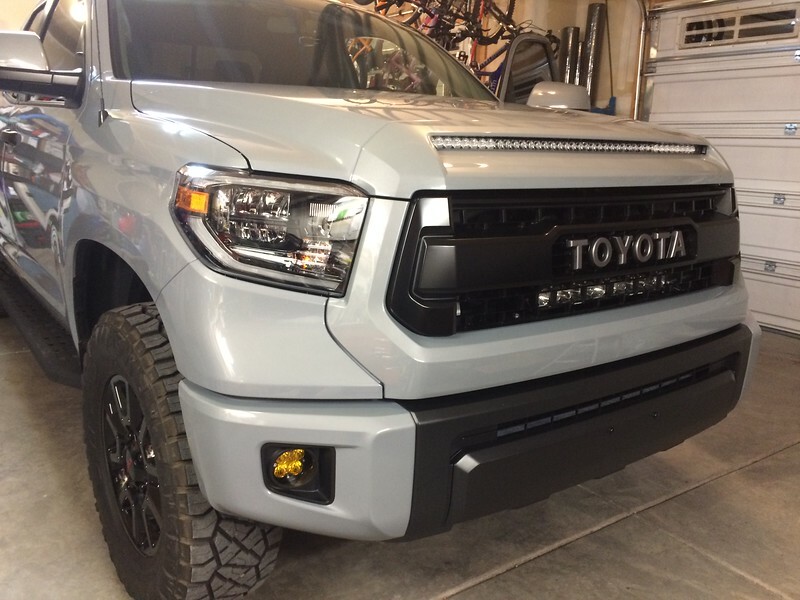 Today I added some 2019 TRD Pro LED headlights! 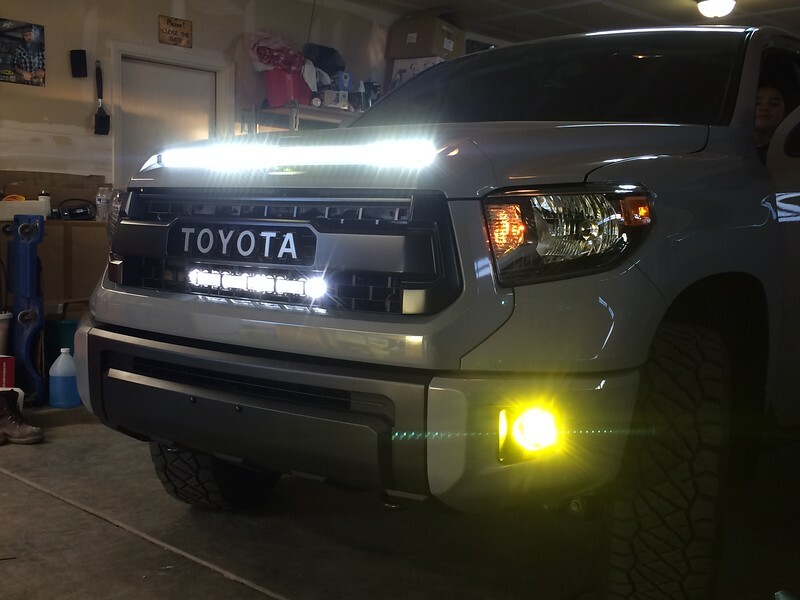 A big thanks to @Roman for providing links for just about Tundra upgrade related and @iHacker for figuring out and producing these awesome LED headlight conversion harnesses! 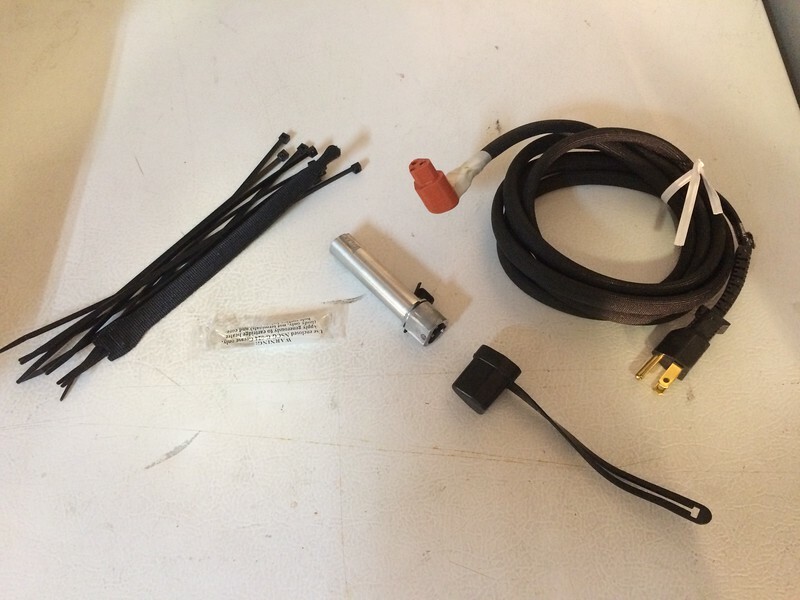 The conversion harness is OEM quality (probably better) and very well thought out which makes it super easy. 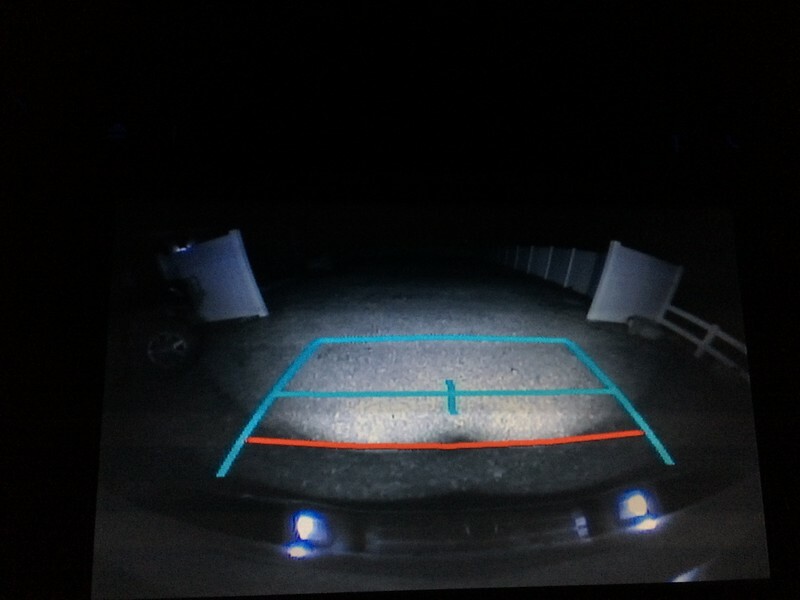 I’m using the dimming DRL harness from iHacker but I also added a small semi-hidden DRL disabling switch just in the rare case that I would want to keep the DRLs completely off. I also had to adjust the headlights some as they were both aimed a little high and the driver side light was higher than the passenger side. 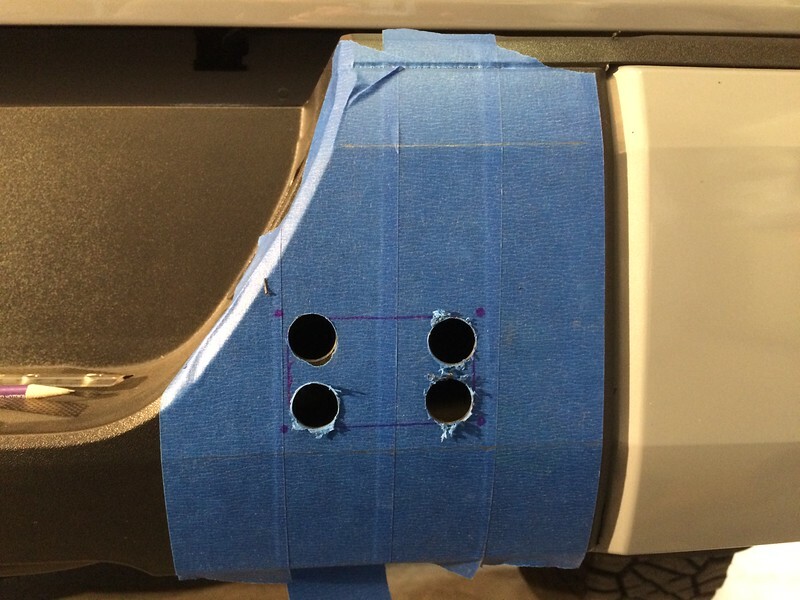 I do have some adjustment via the leveling switch inside in both directions. 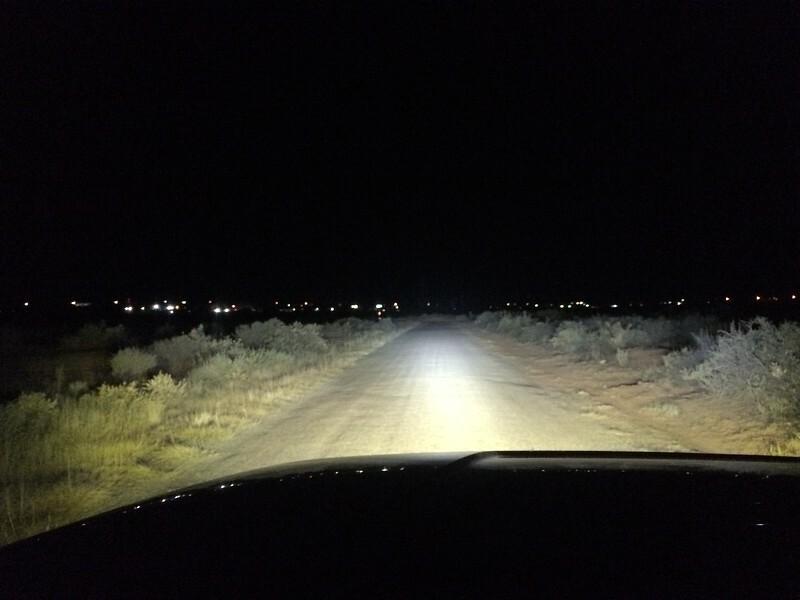 I only took the truck for a short ride around the neighborhood tonight after finishing the install but overall the light output and pattern is better than the halogens and the color is much better. 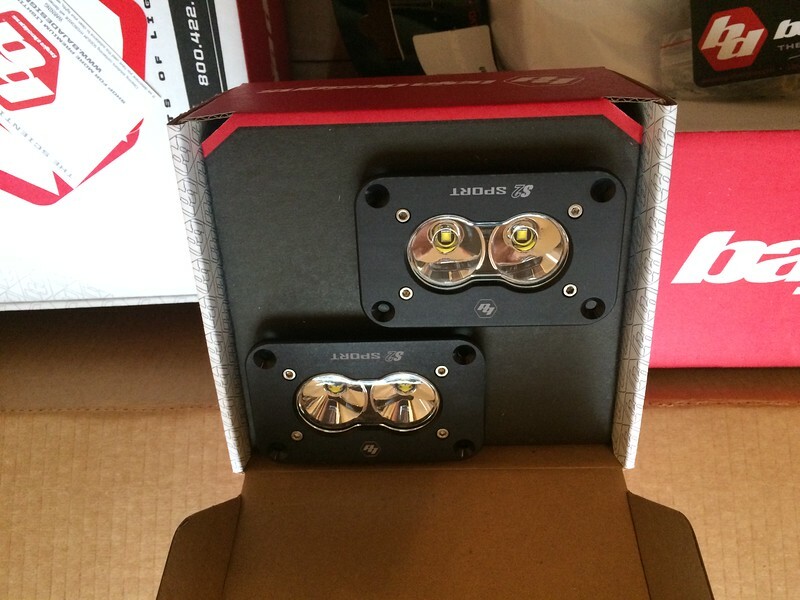 Also, they simply just look better than the factory halogen housings as well. 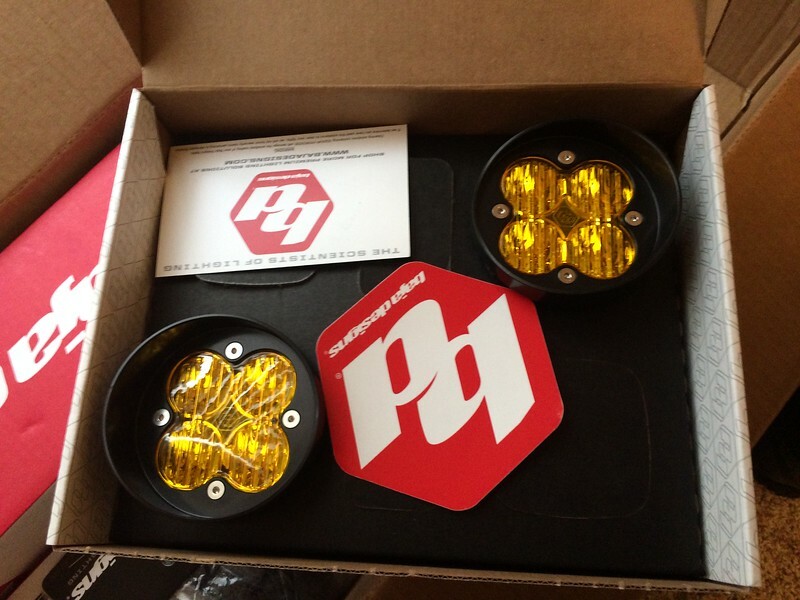 Can’t wait to get behind the wheel after dark to try these out! ColoradoTJ, Jsena, Erichudgins and 3 others like this. Looks great. Get Christmas out of the way and I'll get my 19 pro headlights and regular OEM led fog lights ordered. Already got my wiring harness. 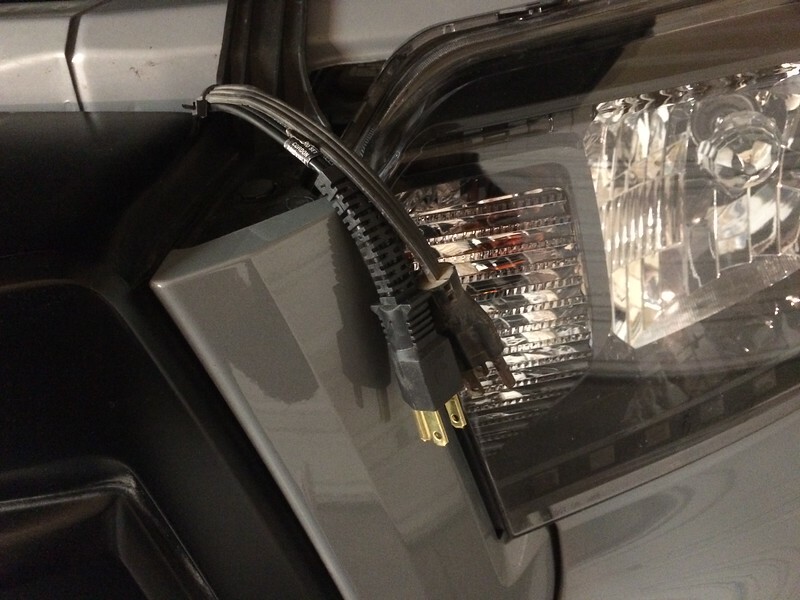 Headlight install pretty straightforward? Looking at tackling it myself. The only part that has me concerned is adjusting the headlights. 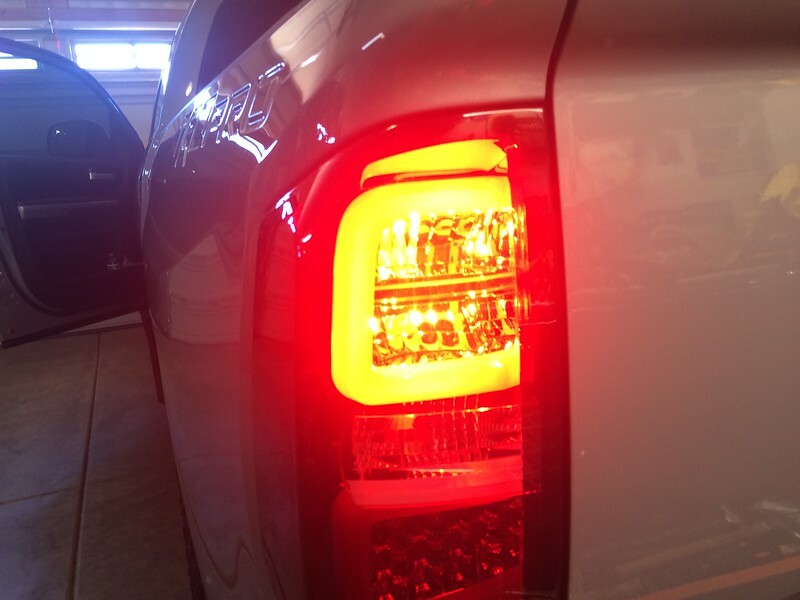 Do you do adjust manually or with headlight adjustment wheel in the cab? 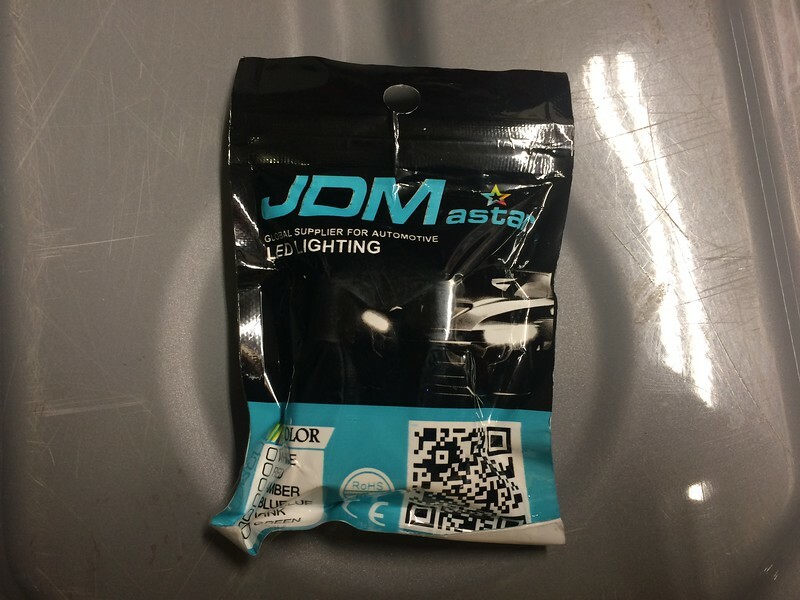 I was going to get the dimming DRL harness, I believe that is a factory setting. Those new headlights look sick! Thanks! 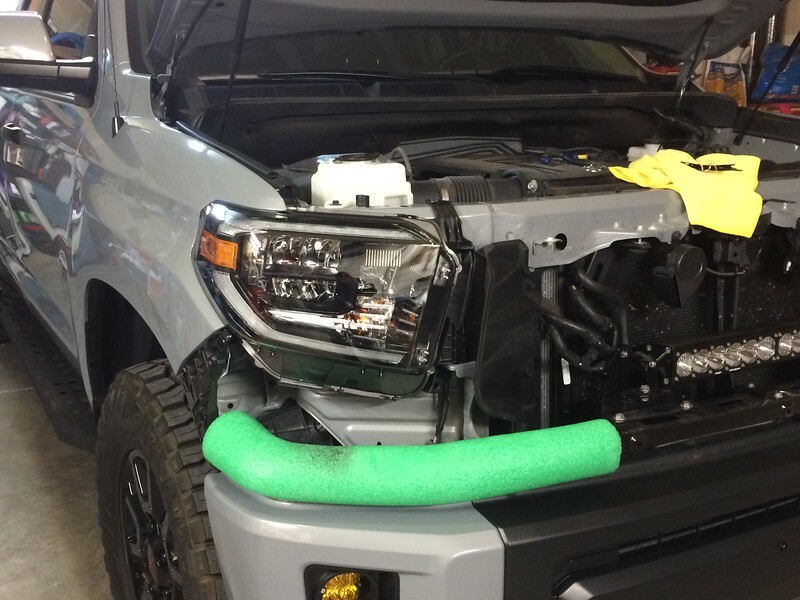 The headlight install is pretty straightforward. 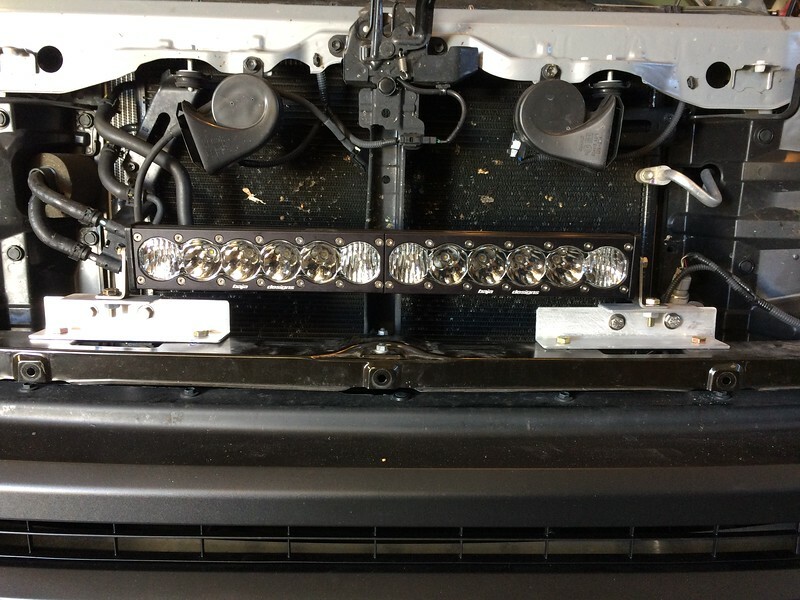 I recommend to watch at least one video on how to remove the grill, corner pieces below the headlights and of course, the headlights themselves. Honestly, everything comes apart pretty easy. 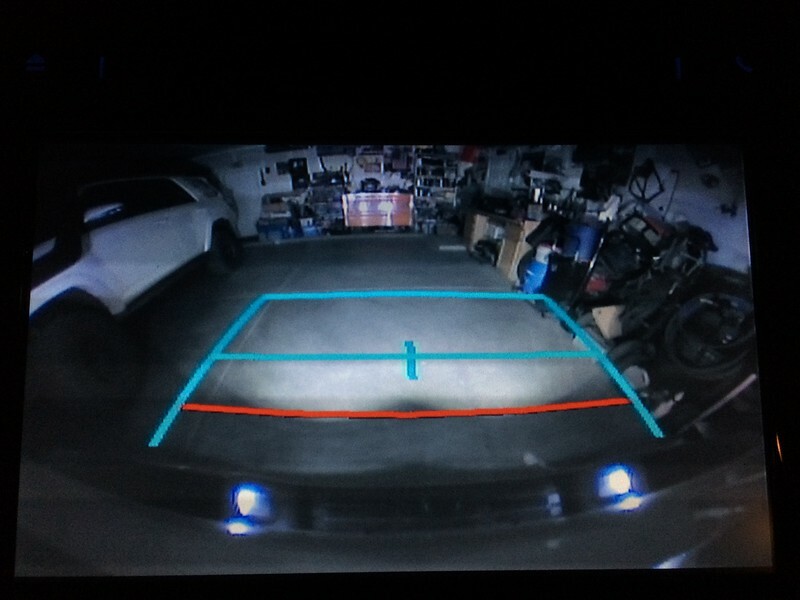 As for aligning the lights, watch some videos on how to do it. It’s also pretty straightforward.